From left to right: 1). 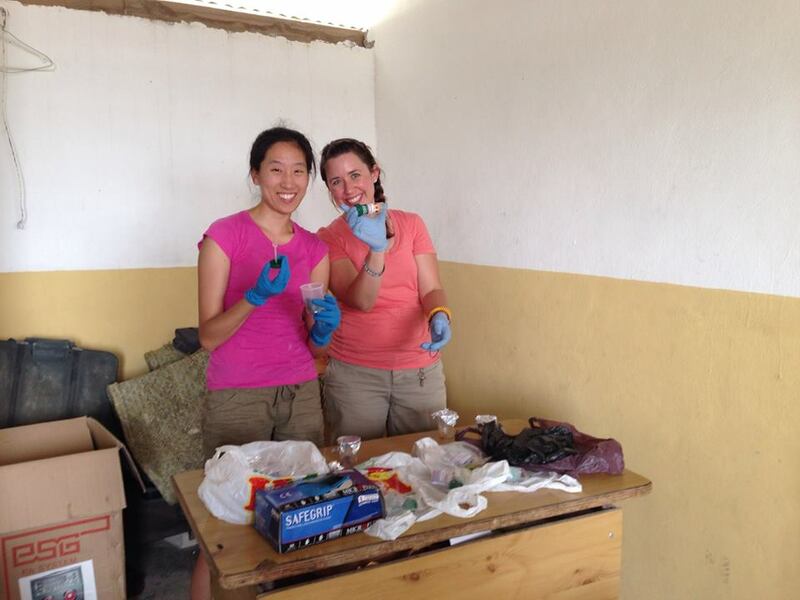 Dr. Vanderlene Kung, PGY-2 Pathology Resident, and Dr. Sarah Riley process samples in Port Ploum, Port au Prince, Haiti; 2). 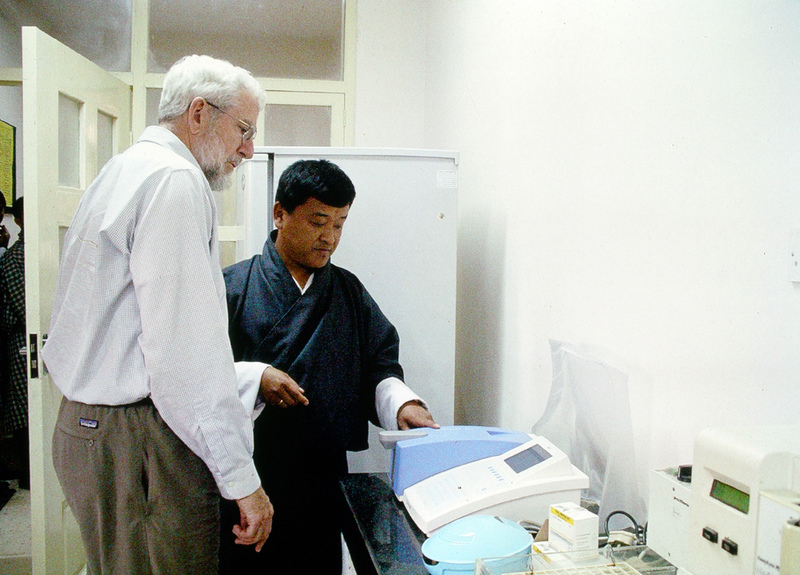 A Haitian lab technician prepares plasma samples for electrolyte measurement by spectrophotometry; Hospital Bernard Mevs, Haiti; 3). Dominican lab technician runs blood gases and activated clotting time during open heart surgery; Chadasha Clinic, Jimani, Dominican Republic; 4). Haitian lab technician prepares blood smears for sickling test; Hospital Bernard Mevs, Port au Prince, Haiti.